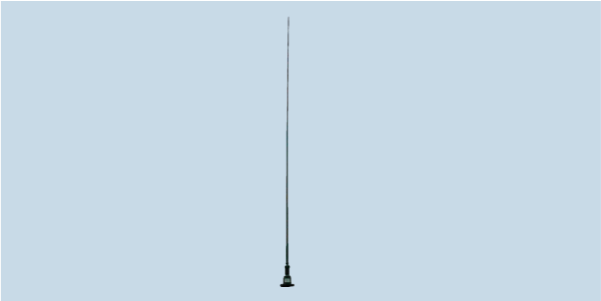 MONO-A0029 is an HF active monopole antenna covering 100 kHz to 60 MHz for use on vehicles and metallic structures for medium to long range HF monitoring. MONO-A0012 uses an operational amplifier as the active amplification component. MISC-A0022 is recommended for the power supply. It can also be used for fixed applications where there is no groundplane such as mounting on top of a mast. For this application there are ground radials that screw into the base perpendicular to the mast.